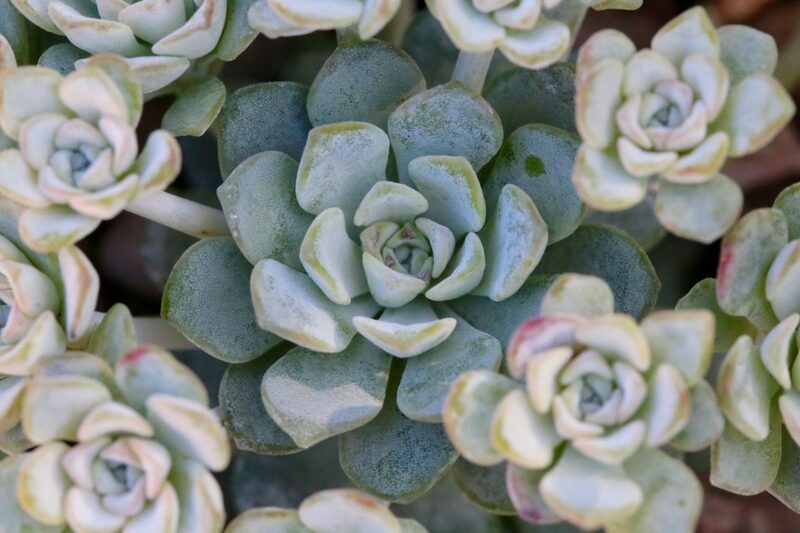 I am a new diarist for the Alpine Garden Society, and despite growing some as a child, I am fairly new to growing alpines. In my diary I will share stories from my garden as I take baby steps into the foothills of alpine gardening knowledge. Here’s my story and how I got back into alpines. 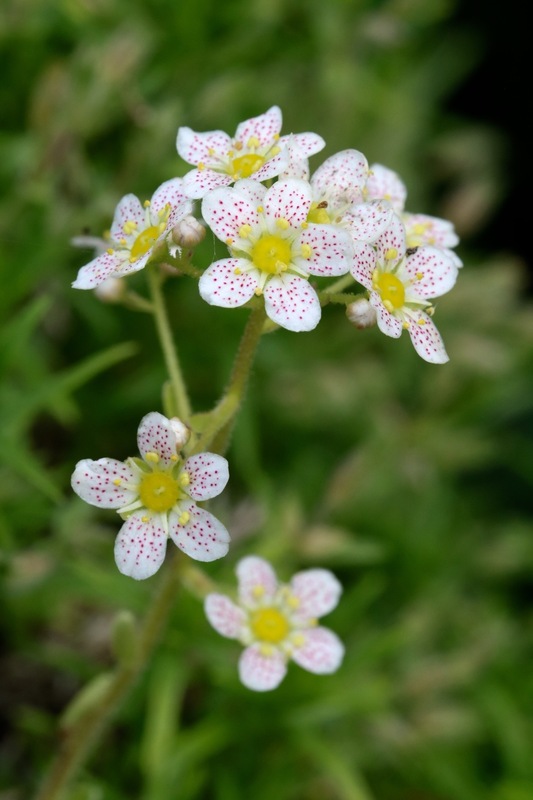 The first plants I grew were alpines – a few dainty saxifrages. In the ’70s and ’80s, when I was a child, many gardens had rockeries, the traditional setting for alpine displays. When my father gave me a patch to create a mini garden, the first thing I did was to build a rockery in the top corner. I humped stones and rubble from behind the shed to create my mini alpine environment. I then plundered the walls and paths of my parents’ garden for alpine plants to tuck into the thin soil around my stones. It never occurred to me that a garden wouldn’t have a rockery, you see. When I headed off to University a few years later, my father reclaimed the patch. He found it mostly choked with weeds – but the rockery still looked great. My saxifrages had spread attractively over and between the rocks, a little patch of the mountains in suburban Sheffield. Gardening is cyclical and after a heyday in the ’20s and ’30s and a 1970s baby boomer revival, rockeries fell out of fashion. 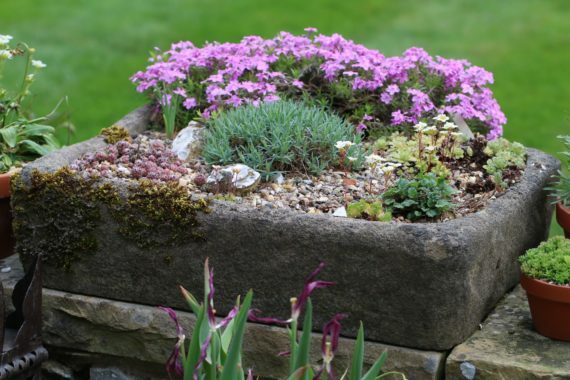 Now when friends move house, and develop plans for the garden, they aspire to a vegetable patch, a new perennial border or a wildflower area – but never a rockery. However, succulents, much loved by Millennials, are incredibly popular right now and draw people to the alpine benches of garden centres. Small is beautiful and in an era of shrinking plot sizes and ‘Generation Rent’ small, portable gardening displays are an attractive concept. I also think that the popularity of rock gardens will return for those with the space. 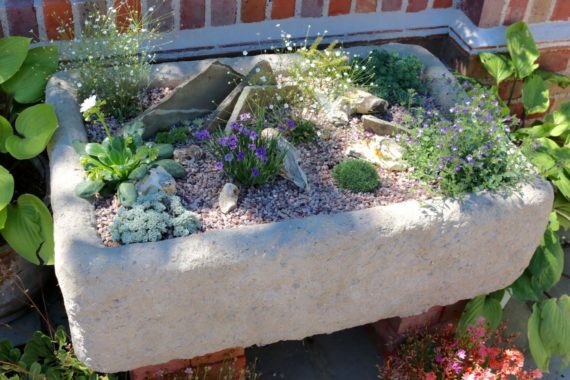 There are some good examples of high profile designers working on rock gardens and incorporating them as attractive features very different from the ‘rockery islands in a sea of lawn’ so common in my childhood. Sheltering from the rain in the alpine house at Wisley last year, I listened in to the conversations of those trapped alongside me. Looking at the pans of flowers in peak condition, they talked about the forms of the flowers and how dainty they were. Very often I heard “Look at this one – it’s so cute.” I’m certain that none of these people were alpine gardeners themselves and were only there to keep dry. But the alpines charmed them for sure. “I’ve got one of those in the garden only much bigger” was another sentence I heard and this explains the attraction of alpines. You don’t need to create an image of the Matterhorn in miniature to grow alpines. 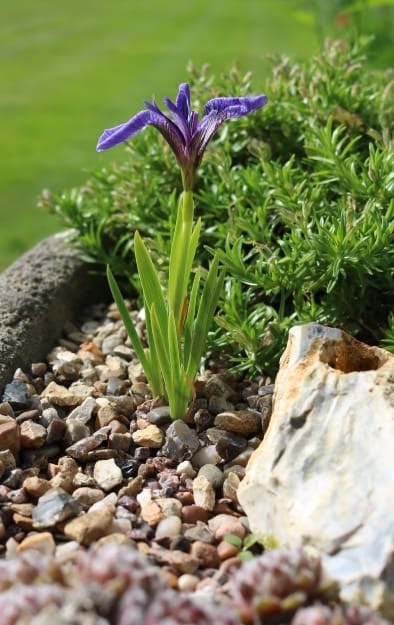 The type of plants that were used in rockeries are suitable for use in less contrived displays – in troughs, pans, boxes or indeed any container. 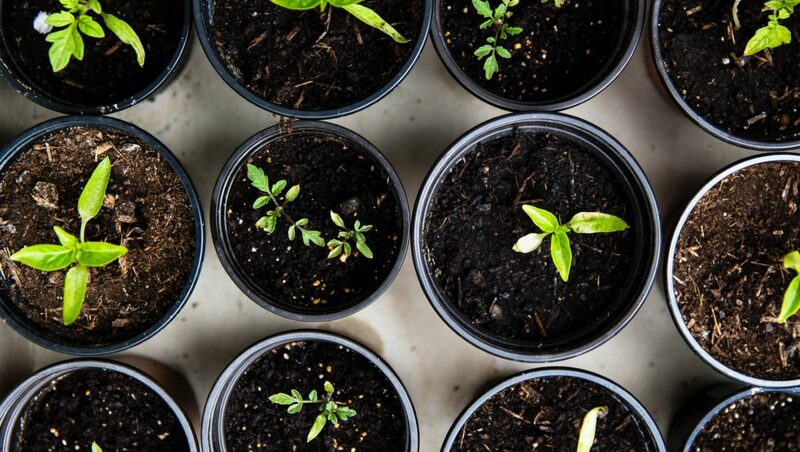 They are incredibly diverse and yet small enough to be grown in all gardens – from a window box, to a balcony, from a courtyard garden to a segment of a larger garden. 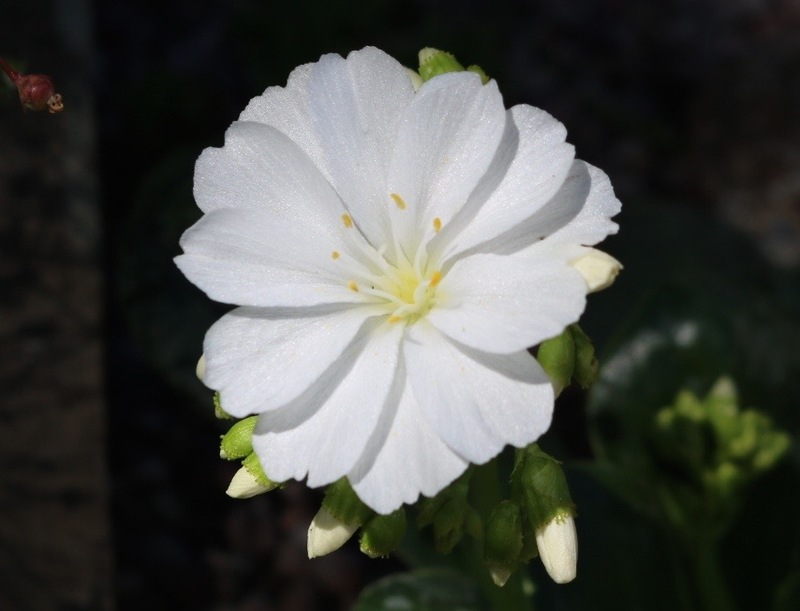 Add to this that the plant and flower forms are invariably attractive, and I really understand how these rock chicks have a huge following of alpine enthusiasts across the world – and why I’m now hooked. 30 years after creating my childhood rockery I have started growing alpines again. My large garden in the Chiltern Hills came with many things – an overgrown rose garden, a vegetable patch and some lovely herbaceous borders. I was delirious to find it also came with an empty stone trough, which I dragged out from under a bush. Two summers ago, up at my local independent garden centre, I spotted a bench of alpines, some obviously grown from seed on site. I decided I’d have a go at planting up the trough and I chose a few plants. What fun! Given that I’d gardened on a tiny scale in London, but now had over an acre to play with, I was surprised how much I enjoyed designing on a small scale. All the things you usually think about in planning a border apply – seasonal interest, form and shape of plants, colours of flowers – only in miniature. The trough now has pride of place on a low wall, near our patio table. Raised up a couple of feet, the flowers can easily be admired. A floriferous pink phlox, uprooted from a wall nearby, tumbles over the rear of the trough and can be admired from both sides, whilst a tiny alpine iris graces us with its presence in early summer. A dainty oxalis coaxes you in to take a closer look. This year I decided I wanted another trough to expand my collection and I covered an old Belfast sink with artificial stone using a recipe on this website. 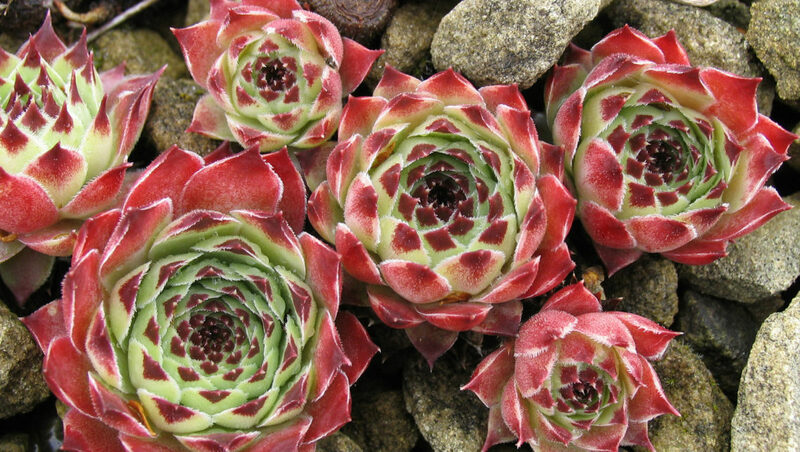 It looks fabulous and has allowed a growing addiction with alpines to take root. I have bought some books on alpine plants, started reading this website and joined the Alpine Garden Society. I have more and more ideas about plants I’d like to grow and look forward to sharing my attempts with you on these pages. 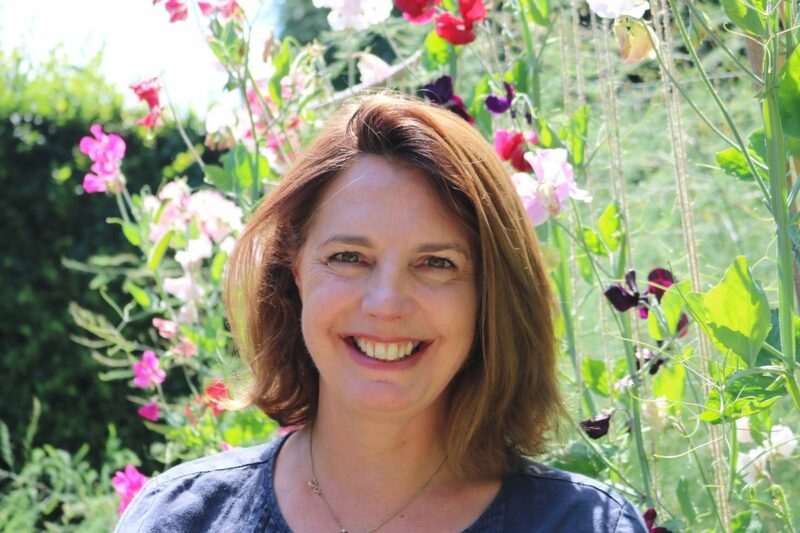 Katharine Woods Our beginner alpine gardener, Katharine is a busy mother of three living in the Chiltern Hills. 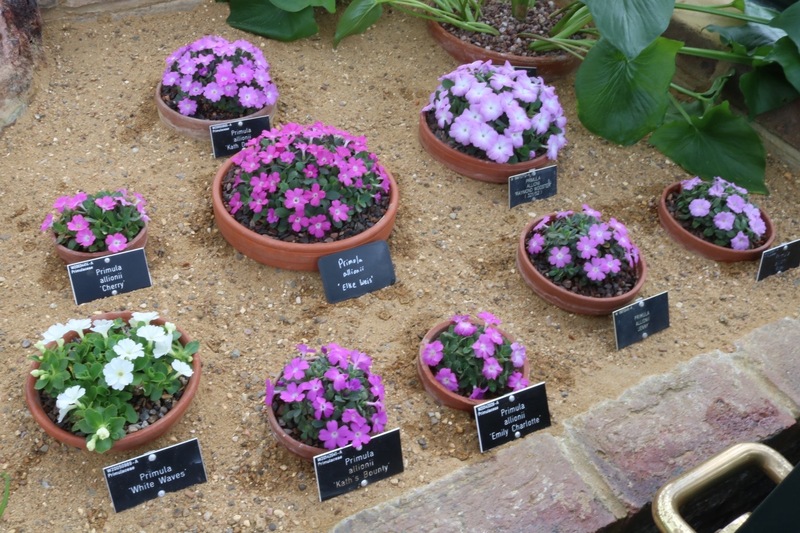 She'll be detailing her experiences with growing alpines and hardy plants in her own garden. Katharine also writes her own blog, The Tea Break Gardener, documenting the wide variety of plants she grows, from perennials to houseplants.